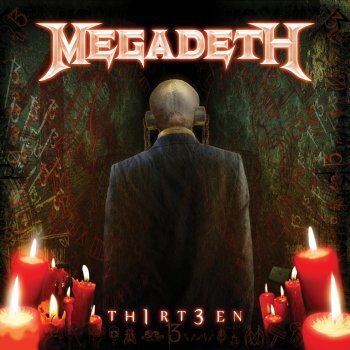 MEGADETH - TH1RT3EN VINYL (2LP 180GR) | Online Shop | Wizard LTD. Album: "TH1RT3EN VINYL (2LP 180GR)"
"TH1RT3EN" has several levels of meaning, which Dave Mustaine, who first picked up an axe at the age of 13, reveals, saying, "I was born on September 13th; this is my thirteenth record. It just seemed like it was the right thing to do to call it "TH1RT3EN". Mustaine is incredibly proud of the music put forth on the new recording, "This record is the culmination of my work over the 13 records I recorded. There are moments on "TH1RT3EN" that capture my every emotion, and other moments where I am releasing feelings I never knew existed! My proudest moments of my musical career are captured on "TH1RT3EN". The CD was recorded at Vic&apos;s Garage studio in San Marcos, California with producer Johnny K.